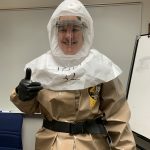 Jodi Swenson is a Master’s degree program student in Community/Public Health Nursing and recently completed the Hospital Emergency Response Training for Mass Casualty Incidents (Train the Trainer) course at the US Department of Homeland Security Center for Domestic Preparedness in Anniston, Alabama as a practicum. 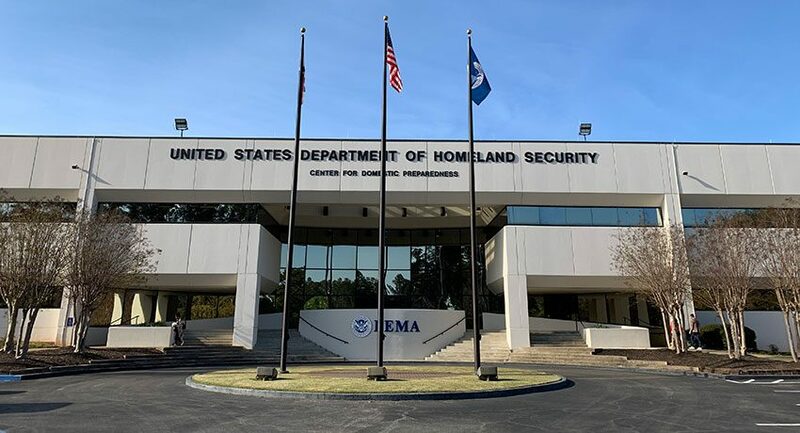 Jodi completed the Emergency Medical Operations Intensive at Homeland Security’s FEMA Center in November 2018. The Hospital Emergency Response Training for Mass Casualty Incidents (HERT) course addresses healthcare response at the operations level for the facility and its personnel. This course prepares healthcare responders to utilize the Hospital Incident Command System — integrating into the community emergency response network while operating an Emergency Treatment Area as hospital first responders during a mass casualty incident involving patient contamination. The healthcare responders determine and use appropriate personal protective equipment and conduct triage followed by decontamination of ambulatory and non-ambulatory patients as members of a Hospital Emergency Response Team.